Tableau unveils high-scale Hyper engine, previews self-service data-prep and ‘smart’ capabilities. Here’s the cloud agenda for next year’s event. For now Tableau’s new Hyper engine meets scale and performance demands tied to handling structured data extracts. 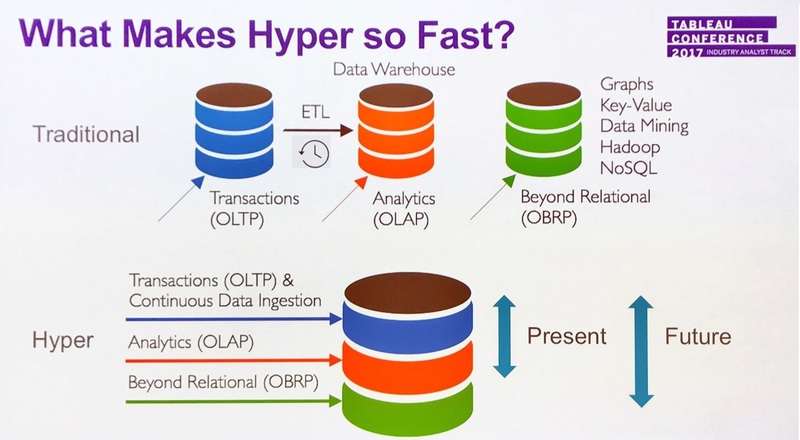 In future it will address NoSQL and graph workloads. Tableau’ plans to extend machine-learning powered recommendations from data sources into the areas of suggested visualizations and suggested data-prep steps.